Here you can see my cage with the six potential Standard Rex keepers. I am planning to keep one doe, although I’d love to keep more. 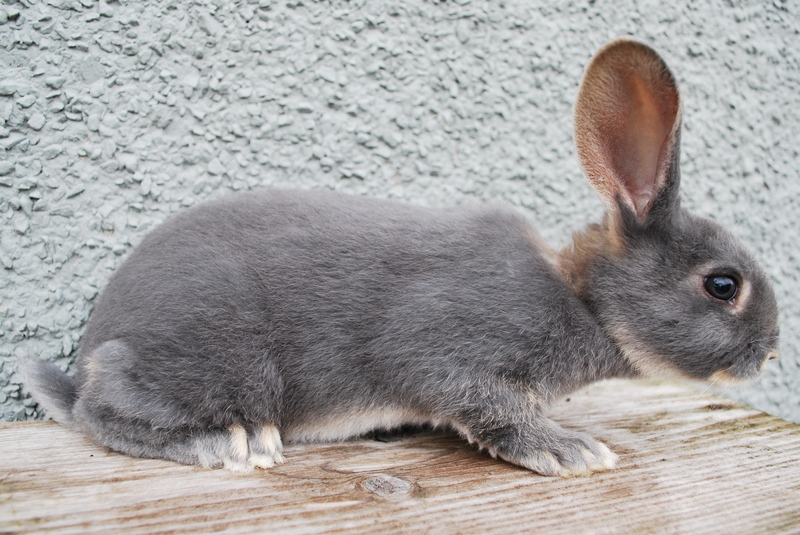 Standard Rexes are really lovely rabbits, personality-wise. Not to mention their beautiful, unique fur. I sexed them today, and to my delight I have four does and two bucks. The Self Black is a buck, and so is one of the Blue Otters. The other two Blue Otters, including the largest, and friendliest with the best markings is also a little doe. Jackpot! So basically, unless something happens I will be keeping this little girl. I’d love to keep the black buck, but who am I kidding, I already have plenty of bucks. That’s the problem with having too many different breeds and wanting to keep them pure. I did a little posing with them and they all seem to have fairly good body type, although some look a little long in the shoulder. Tuna, their mom is a very nicely-proportioned girl but their sire Timmy is kind of a mess in that department. He’s just a pet store bunny after all. So now I have to think of a fitting name for this lovely girl. Ideas? 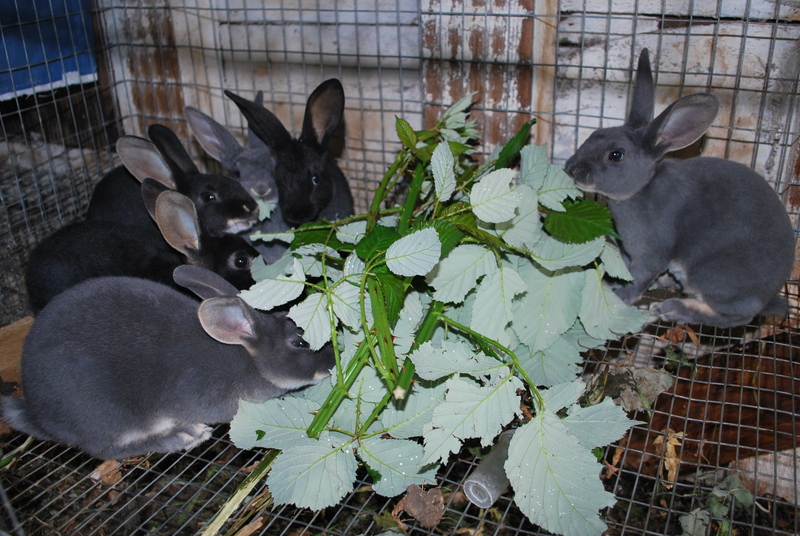 This entry was posted in rabbits and tagged black otter rex kits, blue otter rex kits, homesteading, meat rabbits, self black rex kit, standard rex six weeks old. Bookmark the permalink.